Apple has announced that Apple WWDC 2013 tickets will go on sale tomorrow the 25th of April at 10AM PT, the 2013 World Wide Developers Conference will take place between the 10th to the 14th of June. The 2013 WWDC will be held at San Francisco’s Moscone West., last year tickets to the conference sold out in just two hours, we wonder how long it will take to sell out this year. 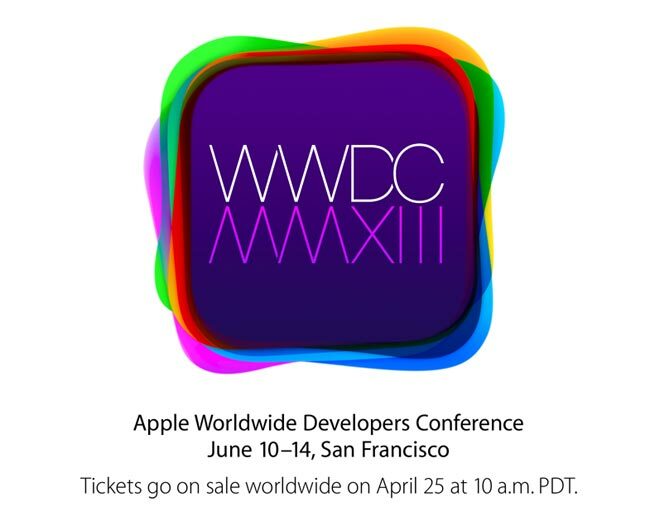 You can find out more details about the tickets for the Apple WWDC 2013 over at Apple’s website.